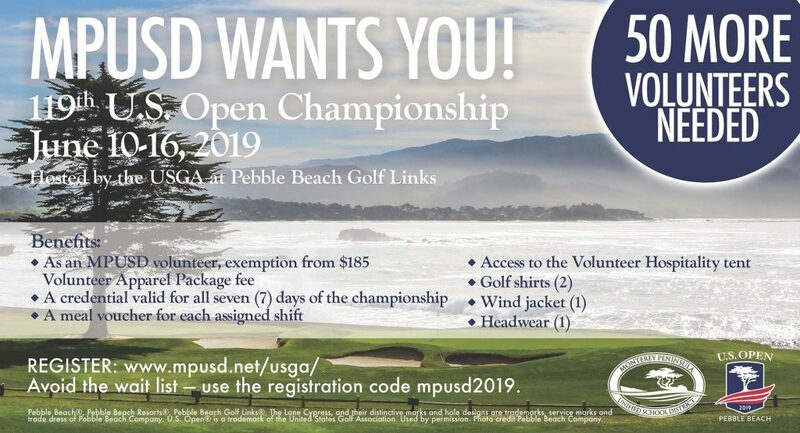 We are almost there – MPUSD needs 50 more volunteers for the 119th U.S. Open Championship. Sign up to volunteer by October 10. 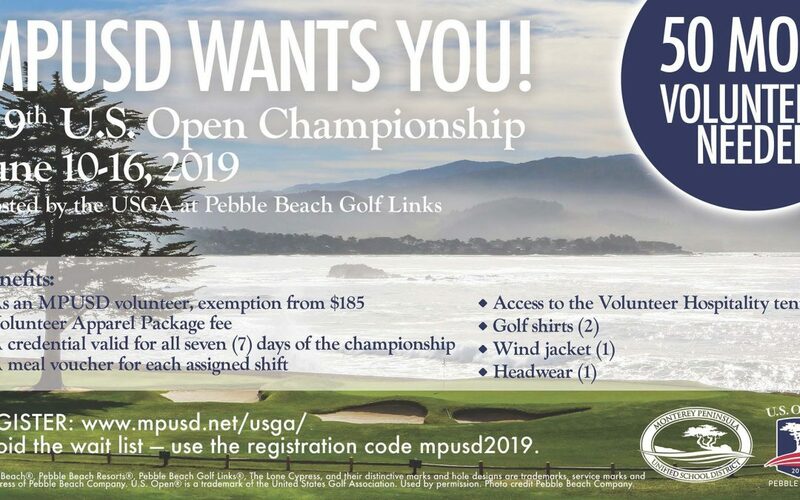 The Pebble Beach Golf Links will host the 119th U.S. Open Championship next June 10-16, 2019, and Monterey Peninsula Unified School District is recruiting individuals to volunteer in the 2019 U.S Open Merchandise Tent. Volunteers will be required to sign up to work four shifts ranging between 5 to 6 hours. 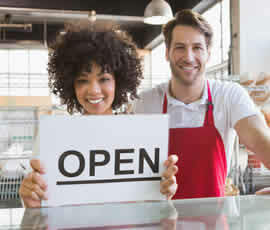 Once registered, you will be able to sign up for your shifts in November 2019. In volunteering through MPUSD, you will be exempt from the mandatory $185 Volunteer Apparel Package fee, but will still have access to the benefits of the volunteer apparel package. This package includes a credential valid for all seven (7) days of the championship, a meal voucher for each assigned shift, access to the Volunteer Hospitality tent, two (2) golf shirts, a wind jacket and a piece of head wear, provided by Polo Ralph Lauren. Depending on the number of volunteers MPUSD secures, the district will receive up to $100,000 from the Pebble Beach Company. This generous donation will be used to purchase musical instruments and athletic equipment districtwide in grades TK – 12. Read more here. Thank you for your consideration and interest. This post was submitted by a member of our community.